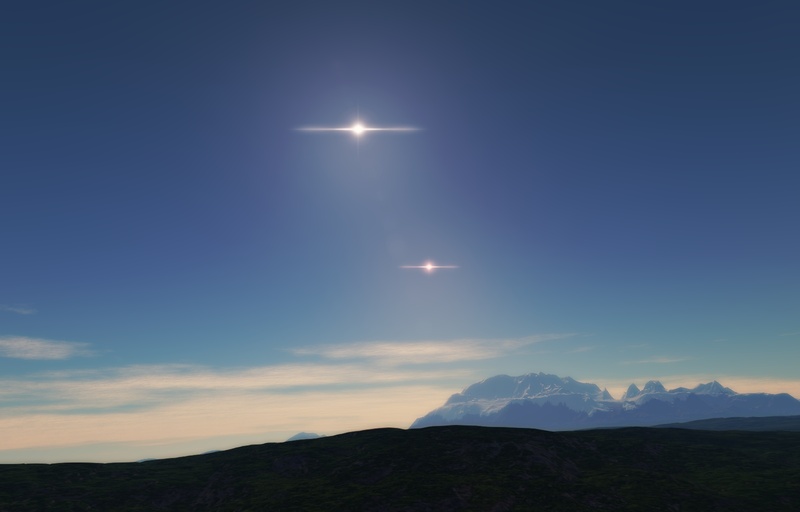 Forum » SpaceEngine » Space Journeys » Circumbinary planet with life? Do they exist? All the ones I've come across are much too distant and frigid to bear life, but then again I don't think I've come across many binary stars that were very close together. I reckon you'd pretty much need a contact binary to get a circumbinary orbit that was small enough to actually have a planet hot enough for liquid water. Anyone found one? The stars would not have to be contact binaries, provided that they were luminous enough. A very bright blue and red giant binary could be able to support a planet with life over 1000 AU away, and they don't have to be very close to each other. Of course, a planet in such a system would not have enough time to develop life, but I still see it as possible. Take the case of Kepler-16 b. Replace each of the suns with stars similar to Sol and you have a system that could support a life-bearing, circumbinary world. 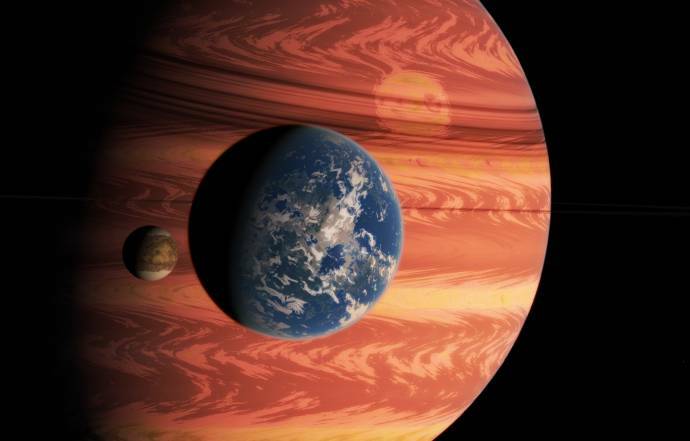 But such worlds would likely be pretty rare in SpaceEngine and therefore somewhat difficult to find.